Established over 50 years The Willows is a dedicated Farm Animal Veterinary Practice located in Cheshire but also covering North Wales. 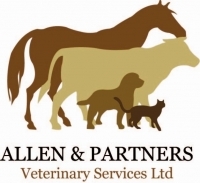 Allen and Partners are a mixed veterinary practice providing 24/7 care for both companion animals and farm animals. Farm First Veterinary Services Ltd. was established in 2008 when the farm and companion animal sectors of Abbey Veterinary Centres Ltd branched into separate businesses. Retailer of animal health products. We are a 10 Vet farm animal practice covering South East Wales and beyond. Wern Veterinary surgeons is a mixed practice with branches in Ruthin, Denbigh, Bala, Abergele, Llanrwst and Holywell.